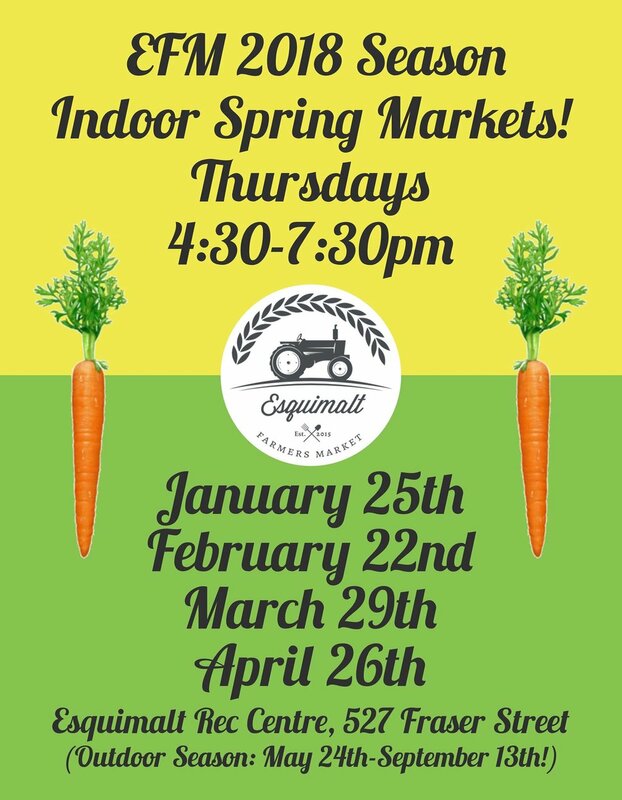 We continue our FOURTH season inside Esquimalt Rec Centre at 527 Fraser Street with an indoor market at the last Thursday of the month from January to April before we move outside, May 24th to Memorial Park at 1200 Esquimalt Road! Join us for produce, prepared foods, homemade items, live music and a food truck! 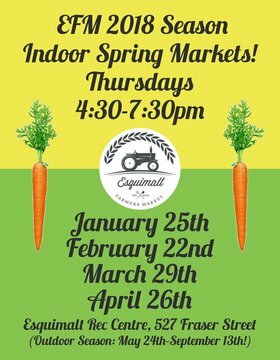 The Esquimalt Farmers Market exists to provide a marketplace which serves as a community gathering point that builds relationships, encourages healthy, local living, environmental and economic sustainability. You can help us do so by visiting the market or giving a donation to the market today.